You want to crack a hash but your system speed is low?! No need to worry..! Here is solution for you , “Distributed Password Cracking”. 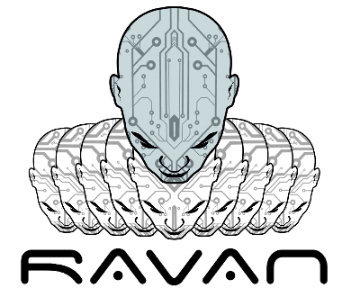 Let me introduce a new tool called “Ravan” developed by LavaKumar. Ravan now supports MD5,SHA1,SHA256,SHA512 hashes. The hash, salt, hashing algorithm, position of the salt (before or after salt) and the charset are submitted by the user. These are submitted to the web backend and it returns a ‘hash id’ which is unique to every submitted hash. It also supplies a ‘worker url’ specific to this hash that must be sent to potential workers. Once the hash is submitted the master creates arrays of slots (each array contains 5 slots), this is submitted to the web backend. Each slot represents a small part of the keyspace, this is how the entire activity is broken down in to multiple tiny tasks. A single slot represents 1 million combinations. The master constantly polls the web backend to check on the progress of the cracking process. As the existing list of slots is completed by the workers the master allots more slots. When a worker cracks the hash and returns the clear-text value the master confirm this and then signals all workers to stop cracking. The web backend acts as a proxy between the master and the workers. It does not perform any actual computation but validates the data submitted by both the parties and passes information between them. The worker performs the actual hard work of cracking the hashes. Each hash has a unique worker URL and this page explicitly asks for the user permission before the cracking process is started. Once the user accepts and clicks ‘Start’ the worker polls the web backend for available slots, the web backend returns an array of slots from its database. The worker cracks each slot and sends the result to the web backend. After completing all the slots it polls the web backend for more slots. 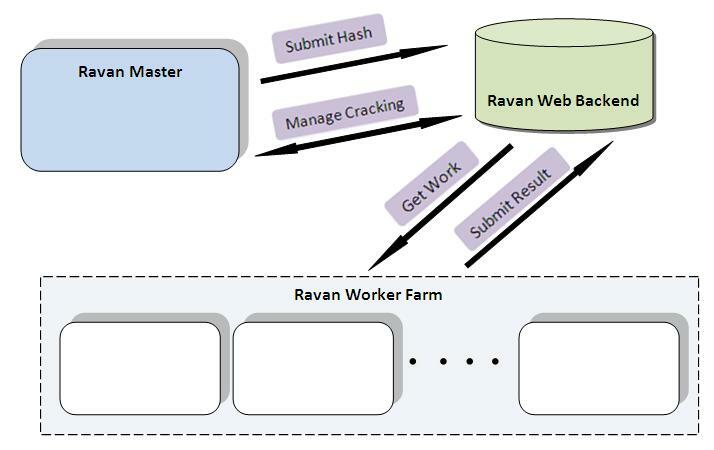 Tutorial: How to use Ravan Tool?